Early in the morning, my sleep was disturbed by the rustling the other girls made as they prepared themselves to go on a tour. We exchanged a few his and hellos when I arrived in our dorm last night. There’s an Asian-looking girl from Australia, a tall woman from Canada with a toned body, and a short girl with the prettiest face from Holland. That was as far as I went when it comes to making a social connection inside the room where I stayed at Luxury Concept Hostel. 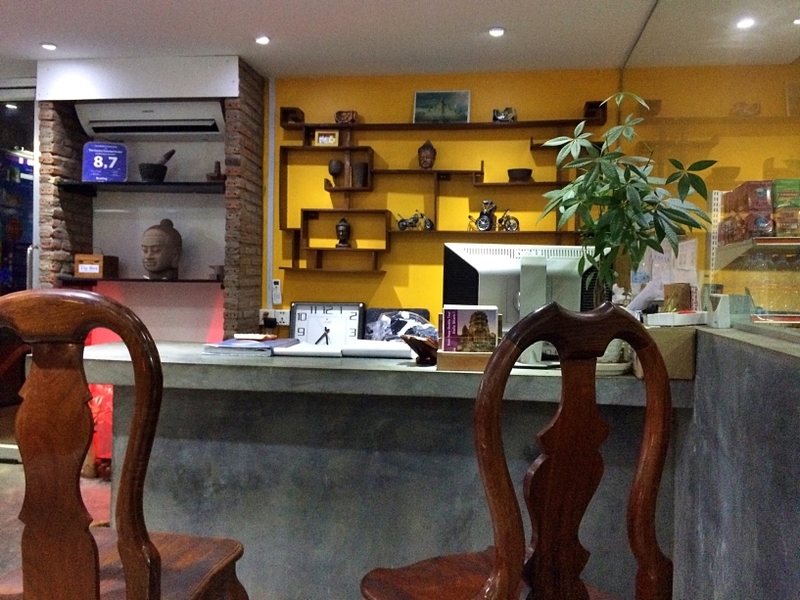 A friend (Travelosyo) discovered Luxury Concept Hostel and booked his stay for his trip to Cambodia. That’s how I found out about this hostel and when I checked it on the net, I was impressed enough to decide to book a stay there. 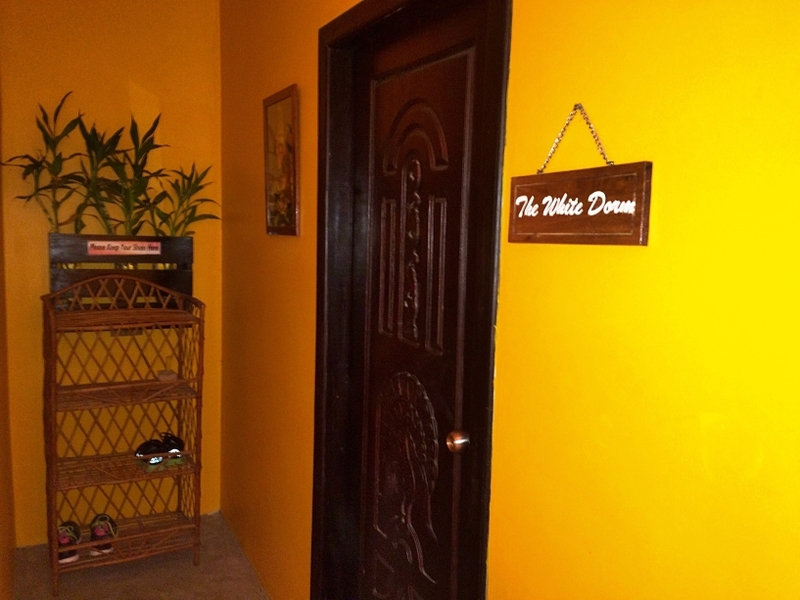 There are 7 different rooms in this hostel and it’s up to you if you want to stay in an all-girls room, an all-boys room, or mixed. I preferred to be in a female-only room because men tend to snore loudly and I honestly have a hard time sleeping when there’s too much noise in a room. I stayed in a mixed dorm at Koniko and my oh my the noise was so horrible I had zero sleep. With Luxury Concept Hostel, I’m happy to report that getting some sleep was the least of my concern. In fact, it was getting out of bed that became my struggle. They sent me to the White Room, which is exclusive to women. And I loved this room for several reasons. First, it smells good, there’s air conditioning, and the double-deck beds have walls to divide them from one another. The bed itself is spacious, big enough for two people. Each bed has its own night light and a small fan. Because the lower bunk beds are exposed, they have curtains to allow guests some privacy. There are three shower areas, one of them has a toilet. In between these bathrooms, there’s a slot for a sink and a mirror. They turn off the aircon from 11 AM to 2 PM, but it doesn’t really get hot inside the room and most guests are out doing tours anyway so I didn’t think it was a problem. If you can’t bear being without the Internet, then you’d be happy to know there is free and strong WiFi connection in this hostel. If you’ve run out of clothes, the hostel offers a laundry service. I sent my clothes to the laundry for only USD 2.50 (PHP 115) and got them back only after a day. The roof-deck café is a nice place to relax and greet the morning. There, you can also meet fellow backpackers, in fact, I made a new friend there, a lovely girl from the Netherlands named Nina. 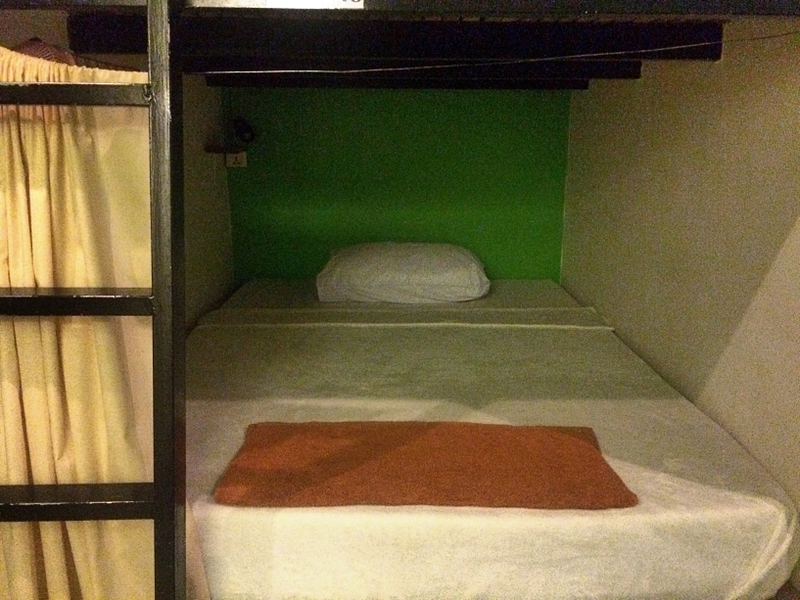 I paid USD 30.82 (PHP 1,424.92) for my 4D3N stay plus that extra night because I came in early. For 4 days, I say that’s pretty cheap, compared with other accommodation in the area where your 30 dollars can only book you for a night. 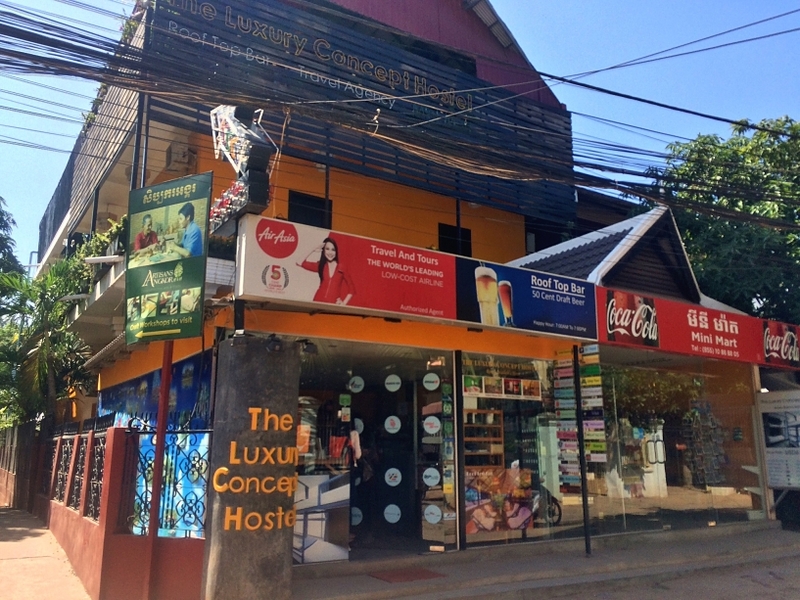 If you are on a budget but is still hoping to get a decent place to stay, I would definitely endorse Luxury Concept Hostel to you. The place is ideal especially to solo female backpackers. 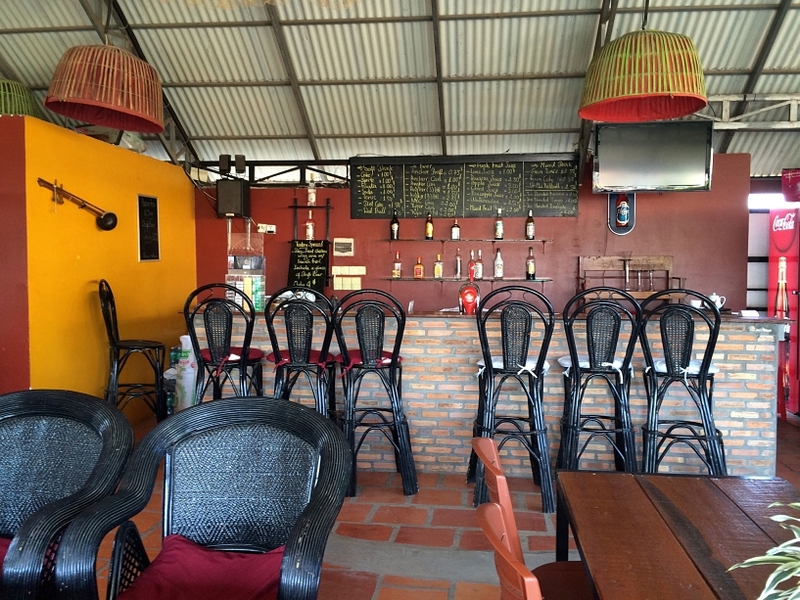 It’s inexpensive, safe, the staff is courteous and can speak good English, it offers many services and convenience to its guests, and it only takes a 10-minute walk to the Pub Street. I would love to check this hostel when I go there! Excellent idea! I love such type of budget stays! It allows you to spend more on other travel needs. The place is so neatly and artistically done up. I liked the center table they created with tyres. Interesting read. Looks like a clean and comfortable hostel and good that it was close to Pub Street! 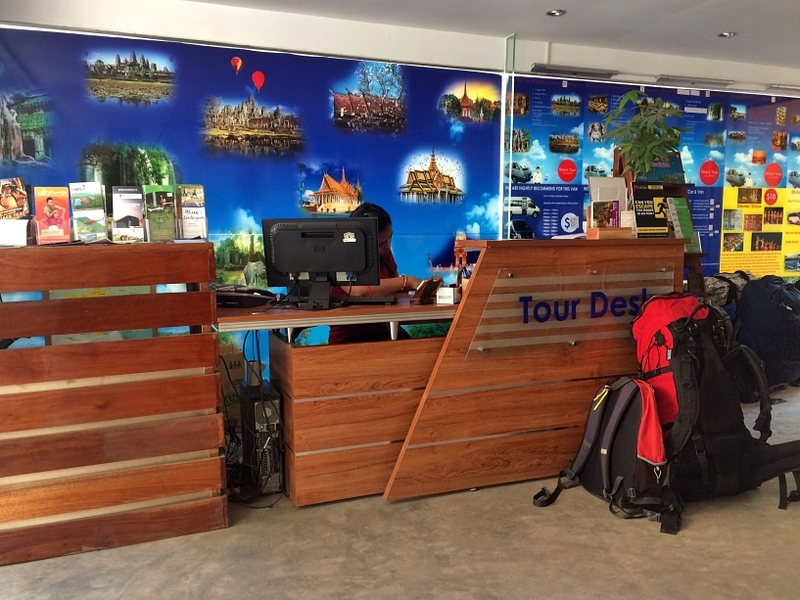 Did you enjoy Angkor Wat? I would not have expected the nice accommodations from first glance at the exterior of the building. Sounds like a great hostel! Looks very clean, private and that rooftop is awesome! Always good to know fellow travelers for recommendations 🙂 Glad you had a good stay! If I was to stay in the hostel, this one certainly looks like it fits the bill. And it is really affordable for all it has to offer. Nice hostel! I am a hostel freak, so definitely would consider this! 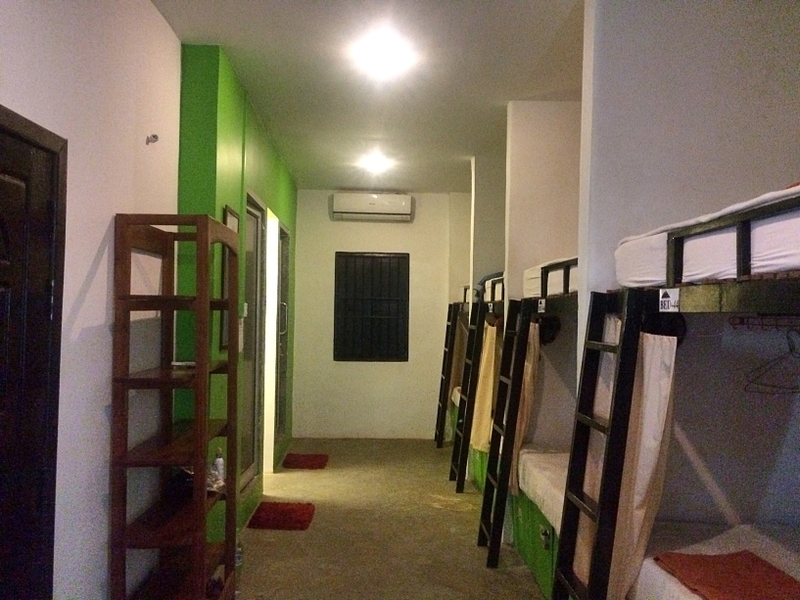 The hostel definitely looks like value for money, hope you enjoyed your Cambodia trip. We need to get there soon to see Angkor Wat. This is value for money! Thanks for sharing! 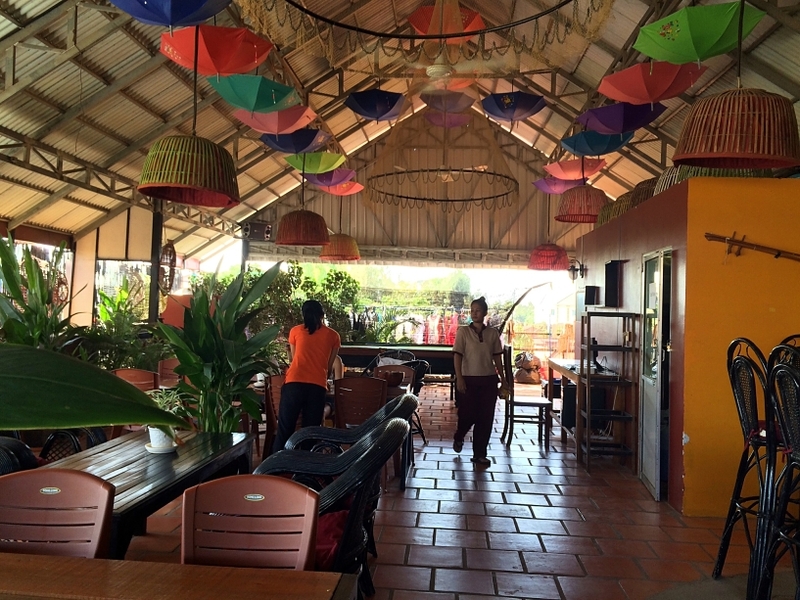 I am heading to Siem Reap in July, and might book this hostel! I love everything about this hostel, the color, the price, the concept of turning hostels into luxury too and the atmosphere. Thanks for recommending this, will definitely keep tabs. That’s a great deal! That’s an advantage of going to a tourist hot spot and the competition for accommodations is high that makes the prices lower. 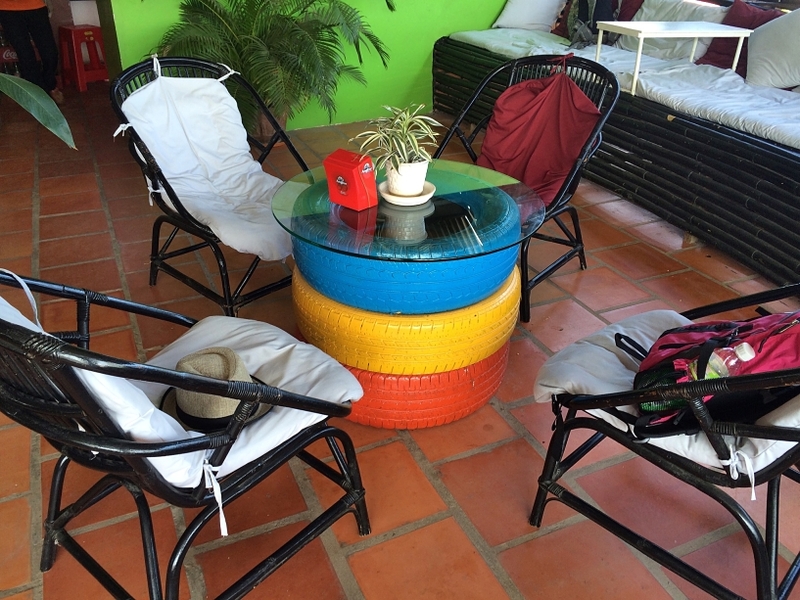 I love the hostel’s rooftop – a perfect place to chill and make some friends. That is a nice looking hostel! And very colorful too! And it was really affordable especially that you spent 4 days there. That is a great value for money. 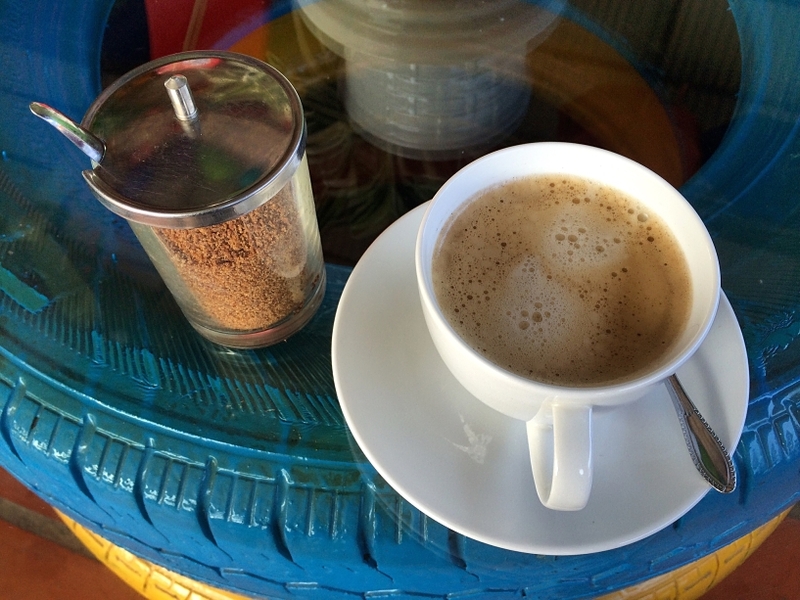 I love the recycled tires that was made as table. Hostels are usually not my kind of thing. IVe never stayed in one. But this doesn’t look so hostel-ish. The beds however could be a little bit better maybe but if it’s for one or two nights, who cares… 🙂 nice review. I like that it’s so small! It’s more cosy like that. P1400 is so cheap considering that you stayed for 4 days! 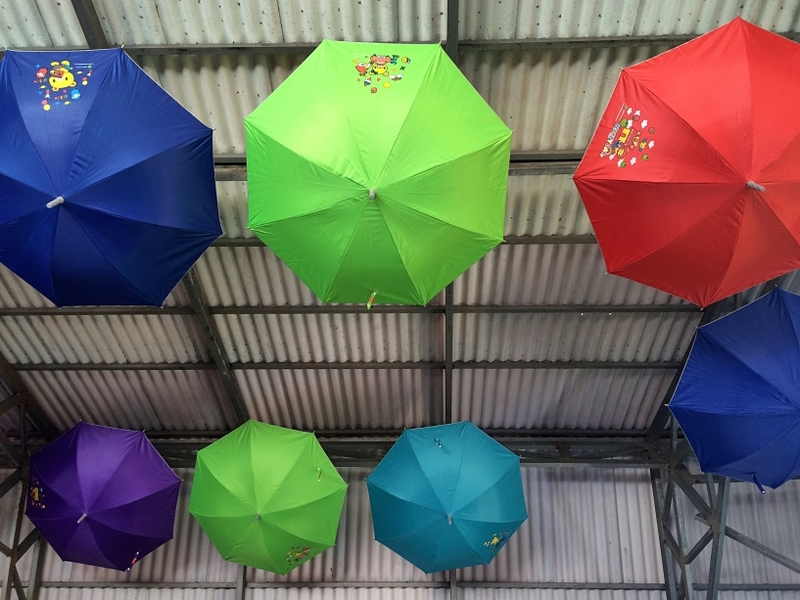 The amenities look okay, not cheap quality at all, and I love the artsy decor in the cafe, especially the umbrellas in the ceiling. 🙂 Will note of this once we plan our trip to Cambodia. The accommodations seemed clean and everything is in walking distance, since I saw a mini-mart there. When we travel, the second factor we take into consideration in choosing a place to stay is the convenience of its location. Of course cleanliness is on the top list. In case we decided to go to Cambodia we will consider this. What’s the name of that hostel you in Prague? That is cheap, I’d say value for money. I like the concept, and hopefully, there would be no incidents like being in the same place with a rude traveler, but the idea actually is conducive to travelers meeting travelers. It makes the travel itself much more fun as you are able to share info and maybe be friends. Yes, staying in hostels, you are bound to become friends with your fellow travelers especially if you went alone.